Tony Hawk's Pro Skater 5 Review: Should've Been Shelved | Nerd Much? I’ll begin my Tony Hawk’s Pro Skater 5 review by quickly mentioning that I was once an avid fan of the franchise, which was once a popular series. Back during the early days of PlayStation consoles, Tony Hawk’s games were great. Not only was the skateboarding itself fun, there were a lot of over-the-top and zany elements including in the game. After first debuting in 1999, the game had many iterations that followed over the next several years. But here we are over fifteen years later, and the game we’ve been given, Tony Hawk’s Pro Skater 5, doesn’t even have one smidgen of the greatness that was once seen in the franchise’s games. THPS5 is a buggy, glitchy mess that simply feels unfinished. It’s as if Robomodo was in the middle of developing the game, and then Activision came along and said they were finished. The framerate is atrocious, and we’d be surprised if it even ever hit 30 fps at all during gameplay. The graphics look like they’re from the PS2/Xbox era, and the environments are generally lifeless and dull. Unfortunately, it doesn’t stop there. The gameplay itself also has numerous issues. For one, the physics take some getting used to, and even when you’ve added stats to your skater, the experience still feels like you’re literally being pulled to the ground when you jump. You also frequently fall through the map/objects when skating around, which is seemingly more frequent when you’re on a quarter pipe or ramp. But the gameplay isn’t the worst part, either. The worst thing about Tony Hawk’s Pro Skater 5 is the loading time. Instead of being presented with two minutes in each map to complete as many challenges as you can (which is how its predecessors handled maps), you’re placed in a freeskate session in each map, and are then forced to a loading screen once you decide to choose a mission to attempt. After you complete each mission, you’re then forced to another loading screen that brings you back to a freeskate session. If you want to go to another mission, you go through the entire process all over again. And it’s not like these loading screens are a split second and then you’re ready to play, you’re literally loading for 20-30 seconds each time you enter or exit a mission. Here we are with our shiny “next generation” consoles, the Xbox One and PS4, and Robomodo was somehow unable to bypass the loading for a game as simple as THPS. As far as the list of playable skaters is concerned, it leaves a lot to be desired. There are only twelve skaters to choose from, and aside from Tony Hawk and Andrew Reynolds, the choices are geared towards the younger crowd. There are a few notably absent professional skateboarders not available that fans have come to love, including Mike Vallely, Rodney Mullen, Chad Muska, Bob Burnquist, Eric Koston, and even Paul Rodriguez. None of these notable skateboarders are in THPS5. The missions are incredibly simple, and for the most part, they have nothing to do with skateboarding. Sure, there’s the typical high score attempts for every level, as well as the typical do-a-trick-on-command type of mission, but other than that, you’ll mostly collect things and take them to a certain part of the map, kick beach balls out of the pool, jump through hoops, and do tricks as quickly as you can before your head explodes. The only glimmer of light in the entire game is its soundtrack, which at least stays true to the franchise. Unfortunately, you’re not able to remove songs from the playlist, nor are you shown what track is playing when a new song comes on, so you wouldn’t know what the name of the song you want to block is anyway. It’s unfortunate that Activision decided to ship such a broken game, especially for a franchise that was once loved by many. 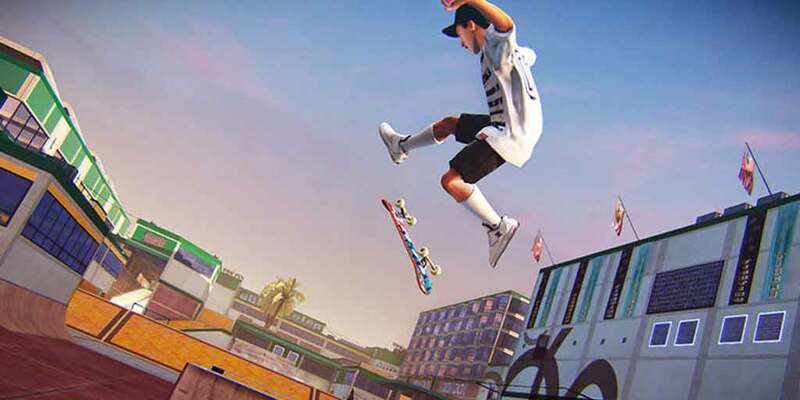 Tony Hawk’s Pro Skater 5 is far away from the quality games we’ve received in the past, and even though Activision has noted that they’re aware of the issues and they’re going to fix them, the game isn’t worth the pickup. And, in fact, it should have been delayed at least 6 months for more development, or outright canceled.